Toronto-based Ecobee has morphed into a heavy hitter in the burgeoning home thermostat market. Stuart Lombard had no obvious reason to leave his job as a venture capitalist in 2007. Times were good. As managing partner with J.L. Albright Venture Partners in Toronto, he worked out of a swank office on the 44th floor of Brookfield Place, at the time known as BCE Place. The firm was one of Canada’s most successful early-stage investors in Internet and software startups, many of which were acquired by the likes of General Electric and Cisco. Lombard also had major street cred in the technology world. During the 1990s he co-founded what grew to become Toronto’s largest Internet service provider, and as chief executive of Isolation Systems, a maker of virtual private network products, he built a company that in 1998 was sold for $37 million and at one point was owned by Intel. The way Lombard saw it, thermostats at the time were just too dumb and did a poor job of keeping people comfortable in their homes. Even the programmable kind – which most people don’t take the time to program – fell short, mostly because in the real world the movement of individuals in and out of a home doesn’t always follow a predictable weekly schedule. There was also the fact that thermostats pre-2007 were ugly plastic rectangles with monochrome LCD displays – a waste of wall space for a generation with higher aesthetic expectations. Nine years later, Toronto-based Ecobee, the company Lombard founded, is creating major market buzz and holding its own against deep-pocketed newcomers and incumbents alike, most notably Google-owned Nest and longtime thermostat king Honeywell. Lombard says Ecobee has doubled the size of its business since launching its first product in 2009, and has outgrown three – soon to be four – head offices to accommodate its rapidly growing workforce, which today sits at about 120. As for market impact, in six years the company has helped its customers save an estimated one terawatt hour of power, Lombard says. It’s the equivalent of taking a small coal-fired power plant off the grid for a year. According to the company’s own analysis, the average Ecobee user reduces energy consumed for home cooling and heating by 23 per cent. “People really, really love it,” says Lombard. Ecobee started off well, making an early splash when it launched the industry’s first Wi-Fi-enabled thermostat. That first-generation device signalled the promise of the connected “smart” home and gave homeowners their first sense of where the market was destined to go. Customers could easily program the thermostat through its unique colour touchscreen or remotely through an Internet-connected device. Delivery of real-time weather reports was an added bonus. Ecobee could also do software upgrades to all installed thermostats without customers even knowing. Ecobee’s current office is located on Toronto’s University Avenue in the historic Bank of Canada Building, a 60-year-old structure based on classical architecture that used to secure all the cash and gold in the region in theft-proof vaults. When the elevator doors open on the fourth floor, however, it’s like being in a time machine that reveals a portal to the 21st century. Not that the office is anything special. 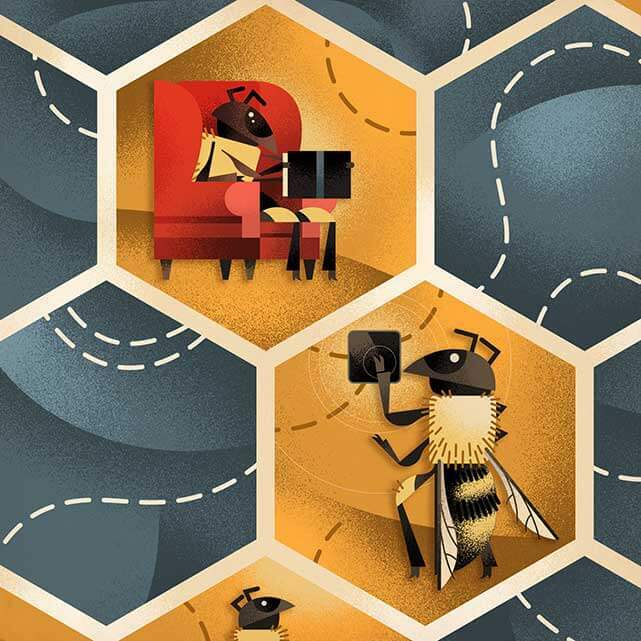 It’s modern, as expected, and is a hive of activity typical of a tech company – young worker bees behind computer screens quietly typing away. It’s clear that what was deemed “crazy” and risky by Bay Street colleagues in 2007 has proved, in hindsight, a sane bet. But Kearns, like others, had concerns when she learned that Google-backed Nest was coming to market with its own smart thermostat. Many saw the beautifully designed Nest device as an Ecobee-killer, even more so after Google purchased the company in 2014 for a whopping $3.2 billion (U.S.). Nest Labs was co-founded in 2010 by CEO Tony Fadell, a former senior vice-president of Apple’s iPod division. Fadell helped design the iPod and reported directly to Steve Jobs. His commitment to aesthetics and ease-of-use while at Apple is reflected in the design of his “learning” thermostat. I ask Lombard about the Nest factor. He says Ecobee was never “up against the ropes” financially and has always performed well, but admits that the emergence of Nest was a “shock to the system” that put tremendous pressure on Ecobee to up its game. “When Nest came to market it was a wake-up call,” Lombard says. “Certainly there was this period where it felt like we had this twin that was smarter and better looking.” Until Nest launched, Ecobee thought it was playing in the NHL. After the first hockey puck-shaped Nest device was dropped in the market in 2012, “we felt more like champions of the North Toronto minor bantam hockey league,” he jokes. Not resigned to being a second stringer in the big leagues, Lombard stayed upbeat. He viewed the arrival of Nest as an opportunity to make some big changes. Ecobee’s designers and engineers were tasked with giving the device a dramatic facelift, including a stylish, slim new look and a basket of novel capabilities. 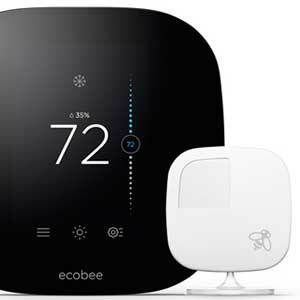 When finally released in September 2014, the third-generation thermostat – called Ecobee3 – was greeted with great fanfare. It has consistently received more positive reviews than the Nest device. Within four months of launching, it unseated Nest as PC Magazine’s Editors’ Choice for smart thermostats, and the accolades keep rolling in. “The Ecobee3 worked like a charm,” according to PC Magazine reviewer John Delaney, who praised the device for being loaded with features, easy to install and “best suited” for people with flexible schedules. Most recently, in January, Ecobee was named to the Global Cleantech 100’s Ones to Watch list, which recognizes new companies that are “catching the eye” of big market players. Best Buy and Apple were quick to start carrying Ecobee3 in select stores and online, and eventually the device was available through all of their store locations. Home Depot also began stocking the thermostat, putting it side-by-side with Nest and high-end models from Honeywell. Heating and air-conditioning giant Carrier, an important distribution partner for Ecobee, dove in to become a minority investor. An even bigger market signal came in July 2015, when Apple decided to dump Nest from its stores and go exclusively with Ecobee3. Needless to say, meeting the high standards that earned Apple’s exclusive endorsement gave Ecobee a major boost as the company entered the latter part of 2015. Rahul Raj, vice-president of marketing and e-commerce at Ecobee, says having the Apple “halo” hovering over Ecobee has been nothing short of huge. The bee is now swarming around the nest. Ecobee still trails Nest, but last year it surpassed Honeywell to become the second-best selling Internet-connected thermostat in the United States. It’s not an insignificant achievement. “They were ostensibly the Kleenex of thermostats, and we’ve overtaken them,” says Raj, who is convinced Ecobee is positioned to overtake Nest this year. According to research firm NPD, Ecobee had 24 per cent of the smart thermostat market by mid-2015. 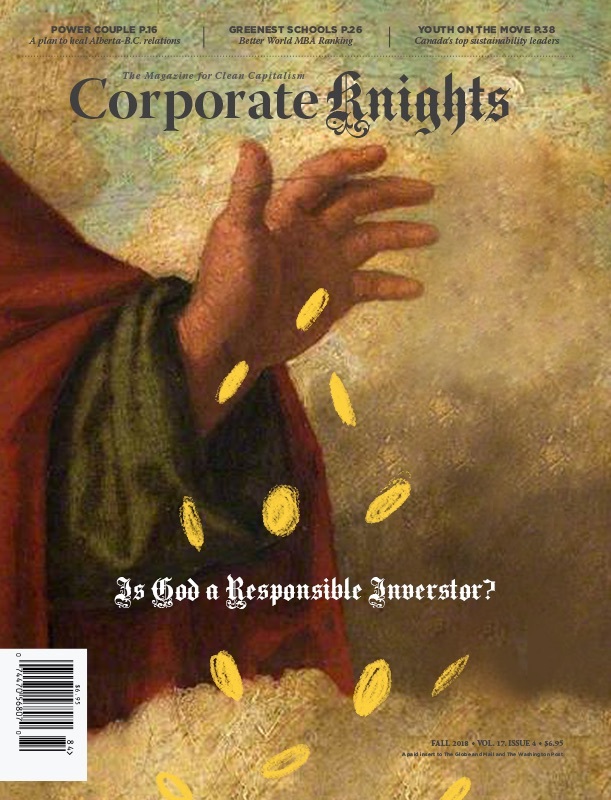 Since then, there’s good reason to believe it has captured a larger share. The market moves fast and can change abruptly, but Ecobee3 currently has an important edge over Nest. The $250 thermostat ships with a wireless sensor that can be placed in any room. Other home thermostats only measure temperature in a single location, usually the kitchen or living room. That often results in the ground floor being comfortable but upstairs rooms being too hot or cold. Ecobee’s sensor can separately monitor temperature in another room, as well as when people come and go from that location. The sensor talks to the main thermostat, which uses a proprietary algorithm to spot patterns and calculate an ideal temperature balance. To bolster accuracy even more, up to 32 sensors (at $79 a pair) can be added to fine tune comfort, which is particularly handy in larger homes. Scott Jenschke, who is responsible for heating and cooling merchandise at Home Depot’s headquarters in Atlanta, says this unique feature is what seems to be resonating the most with customers. It’s also what Delaney, in his PC Magazine review of Ecobee3, noted as a comparative weakness with the Nest thermostat. “The Nest can’t sense temperature or motion in other rooms, and may leave you shivering if you’re in another part of the house,” he wrote. Al Shuman, vice-president of marketing at Just Energy, a major natural gas and electricity retailer, says homeowners appreciate the control. “Honestly, what people most like is just the idea of adjusting their thermostat from their bedroom using their smart phone,” says Shuman, whose company has been an Ecobee partner for two years and this spring plans to mass market Ecobee3. Those features seem to get richer by the day. Part of the reason Apple gave Ecobee exclusive access to its online and brick-and-mortar stores is that it was the first smart thermostat certified to work with Apple HomeKit, the developer platform that allows non-Apple smart devices to interact seamlessly with iOS, the company’s proprietary mobile operating system. It allowed Ecobee to virtually mimic the Ecobee3 display through an app on the homeowner’s iPhone, iPad, iPod touch or Apple Watch. Users get control on the go, including the ability to issue voice commands through Siri. HomeKit also enabled geofencing – the ability to instruct the thermostat to operate in a certain way based on the personal location of Apple device users in a household. For example, it can be told to lower the temperature when home occupants are more than five kilometres away, and crank it back up when someone gets within two kilometres of the house. Kearns at the MaRS cleantech practice says Ecobee’s ability to navigate through the Nest threat has been impressive, with the company gaining some crucial traction in the marketplace. But the technology sector never stands still, and with Google the long-term vision is to have Nest dominate the Internet of Things that are expected to make up a smart home. Already, Nest has a smart smoke and carbon monoxide alarm, and a Nest Cam with motion and noise detection that can double as a nanny-pet cam or home security product. All of these products can be controlled remotely through a smart phone. “Ecobee is trendy and popular, but it’s still a thermostat and they’re still a one-trick pony, which for me is a pretty risky place to be,” says Kearns. Lombard has no intention of standing still. Ecobee continues to develop partnerships with major utilities and position its thermostat as a way for homeowners to participate in demand-response programs. Eventually, customers might be able to monitor and control electric vehicles and energy storage systems connected to their homes. Utilities, with customer permission and under specific conditions, could one day remotely control the energy consumption of tens of thousands of homes to better manage the flow of solar and wind energy on the grid. Ecobee also has a public API, or application program interface, meaning anyone can develop their own app to add value and choice to the Ecobee app. Lombard says there are a thousand applications currently being designed around Ecobee3. Given the huge amount of data Ecobee is collecting, there seems no end to how it can be used to improve the customer experience.